Aim An event to build capacity and exchange knowledge around project's topic. 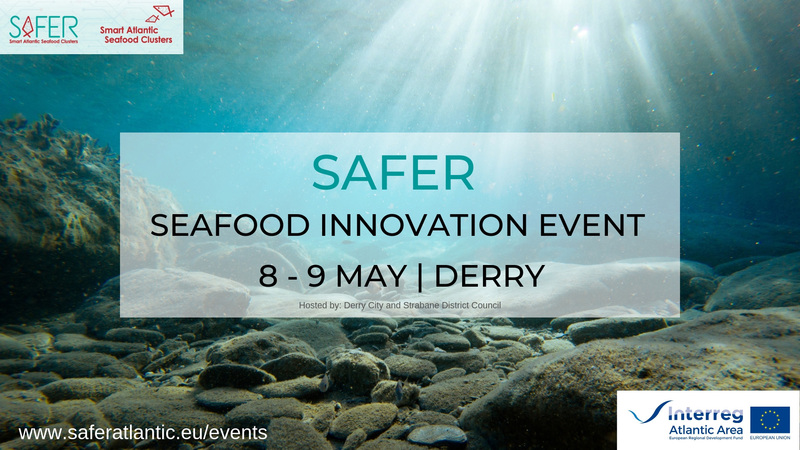 SAFER partners will meet in Derry (Northern Ireland) from 8th - 9th May 2019 for their third Steering Committee meeting of the project. Hosted by SAFER project partner Derry City and Strabane District Council , partners will follow a two-day programme where, apart from presenting and discussing the SAFER project with relevant target groups, other activities will be carried out such as site visits to the relevant actors that are involved in the implementation of the innovation activities in the project. More concretely, partners will visit the Loughs Agency - an agency of the Foyle, Carlingford and Irish Lights Commission (FCILC), established as one of the cross-border bodies under the 1998 agreement between the Government of the United Kingdom of Great Britain and Northern Ireland and the Government of Ireland. The agency aims to provide sustainable social, economic and environmental benefits through the effective conservation, management, promotion and development of the fisheries and marine resources of the Foyle and Carlingford Areas. Within SAFER Derry and Strabane District Council is working with the Loughs Agency in the implementation of Internet of Things (IoT) technology to support them in their task of ensuring the sustainability of the native Lough Foyle flat oyster. The partners will also have the opportunity to visit an oyster farm to see in first hand the work carried out. An event to build capacity and exchange knowledge around project's topic.